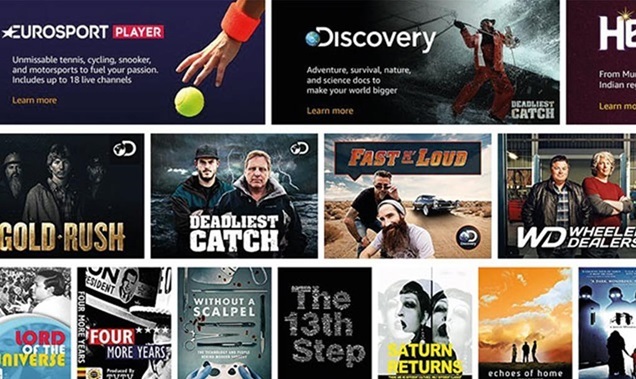 The term ‘live on TV’ took another body blow this week when Amazon said it would offer TV networks like ITV, Discovery and Eurosport through its Prime Video portal in the UK. Some 87% of TV viewing in the UK is either live or via TV catch-up services like iPlayer, but the move by the western world’s biggest online retailer marks a step change in how consumers can access this content. As a new online TV aggregator – both live and on-demand – Amazon Channels poses a significant long-term threat to Sky and Virgin Media. It is part of the rise of the so-called ‘skinny bundle’ video services that are threatening the ‘big bundles’ typically offered by pay-TV platforms. Current pay-TV subscribers may appreciate being able to pick and choose what they want rather than sign up for bundles of channels, many of which they may never watch. It’s no surprise that Discovery, fresh from negotiating a new channel carriage deal with Sky in the UK, has retained the right to offer its content to a rival platform, including the live streaming of premium sports content from Discovery-owned Eurosport, starting with the French Open. Earlier this year, Amazon spent a reported $50m (£38m) to secure the rights to 10 NFL football games for its US Prime subscribers. The premium cost of live sports is unlikely to drop anytime soon. Amazon has deep pockets and, like Sky, knows the value that live sport has in attracting viewers. The tech behind Amazon means that UK Prime members can search and get recommendations across the 40 channels on offer. Prices range from £1.49 a month for cooking service Panna to £6.99 a month for Eurosport and £3.99 a month for ad-free access to ITV Hub. Unlike Netflix, Amazon Channels is linked to a customer’s Amazon Prime account, which, for £7.99 a month or £79 a year, offers expedited delivery of products such as groceries and books. This is ‘buy-through pricing’: offering access to channels only for those with an Amazon Prime subscription. It’s a way to get more Prime subscribers – who, analysts estimate, buy twice as much on Amazon as people who aren’t part of its shopping club. The more Prime members Amazon gets, the more it ships and the more efficient its delivery business becomes. Net sales from Amazon Prime and other subscriptions are said to be growing at more than 40% a year. All content owners want to keep pace with changing viewer habits, particularly mobile young audiences. From traditional broadcasters like Discovery and ITV to niche video services like Hopster and Hayu, the platform offers access to many more screens. In the short term, the Amazon Channels service may be complementary rather than substitutional for Sky and Virgin subscribers. But the bigger question is: who owns the customer relationship and data? Video draws people into Amazon’s huge retail shop, where credit card information is stored and data is collected. While Netflix is about selling a premium SVoD service, Amazon is about growing its cloud video hosting service, Amazon Web Services (which Netflix also uses). Amazon wants to sell you everything from loo roll to books and garden furniture, from itself or third-party wholesalers. In its most recent financial quarter, it sold $32bn (£25bn) worth of things – $6bn (£4.6bn) of it media. At Broadcast’s recent Media Summit, Eurosport Digital MD Ralph Rivera outlined the “four horsemen of the internet Apocalypse”: Google (search), Netflix (SVoD), Facebook (social media) and Amazon (online retail). He is right to be concerned. Yes, there are strategic and economic reasons to work with these players. But Amazon in particular has a very different agenda than a traditional TV business. Just bear that in mind the next time you ask Alexa for a recommendation.